National Agents Alliance NAA University is a training system for newly licensed NAA agents. A veritable crash-course in all things NAA, it is arguably the best online training system available for new NAA agents at a 55-70% commission level. Studies prove that new agents who complete NAA University submit more business, and get 31% more of it issued than those who do not complete the course. It's not only awesome learning; It's required learning! All agents are required to pass the NAA University Certification exam before their promotion to 70% contract. But did you know that 96% of graduates would recommend the course to other agents anyway? Quickly learn the NAA culture and speed to success! Graduates of National Agents Alliance NAA University get to retain access to the online version of the curriculum, the most accurate one there is! Earn your "digital badge" which displays on NAALeads.com "My Hierarchy" page. Feel more comfortable training your own agents. If you're looking to start your career with NAA off right, then enroll in NAA University and begin your training today! Check out some of our videos about NAA University and let coach help you grow your business! Follow us on Facebook to get the most up to date information about National Agents Alliance NAA University! President's Club members are taught to be Leaders. This club consists of people who committed to changing their own lives, and the lives of others. All commitments are shown through actions. To have the kind of actions you must receive the highest quality education and training available using NAAtv. When you join the NAA President's Club, you are immediately given a wealth of knowledge to help you become the best you can be. As President's Club member, you get all the resources needed to build your successful business as well as the businesses of the agents you lead. We challenge you to become a President's Club member today and to experience how much more successful you can be! Aside from the opportunity to make more money with a career that offers unparalleled freedom, National Agents Alliance and its President's Club can be a gateway to helping protect American families with some of the best financial services available. Be willing to share during the meetings: successes, victories, failures, frustrations and problems. Have an honest desire to go grow your business to the NEXT LEVEL. Have a good business that you want to make a great business. Maintain confidentiality of all sensitive information discussed at the meetings. Make a habit of getting involved and developing relationships with people. Be willing to delegate your time based on priorities. Have a will to win. Qualify (for Black Card only). Visit us at naapresidentsclub.com and join us on Facebook to find out more. Check out our archive of videos about President's Club here! KIT Marketing is a drip-marketing campaign system that keeps in touch with your clients, friends, and family on a regular basis. This system establishes a relationship so that while the agent is out in the field prospecting and gaining new clients KIT is doing the work for them by corresponding with their existing clients. KIT sends out personalized letters each month to keep your clients in the loop of all of the financial services you can provide for their family. At the point of sale, you may have sold them a mortgage protection policy, but you will find that as life changes occur, the family will need additional coverage or a different type of policy. KIT Marketing letters touch on life insurance, final expense coverage, universal life insurance, annuities, and they get the client thinking about their friend's and family's future. KIT Marketing is a sister company to National Agents Alliance and the service is exclusively for NAA agents. Developed in 2005, President and CEO Andy Albright wanted a way to establish good rapport between clients and agents while allowing the agents to focus on making new sales and growing a team. For new agents with few or no sales, KIT Marketing also allows for the annual entry of the agent's friends and family members. Utilize KIT to the fullest by mailing to your friends, family, neighbors, or acquaintances and let them know how mortgage protection can save their family's future. KIT Marketing is the publicist you need that you never thought you could afford. Keep in touch with your clients now and make a client for life. Visit us at kitmarketing.com and join us on Facebook to find out more. Check out our archive of videos about KIT Marketing here! 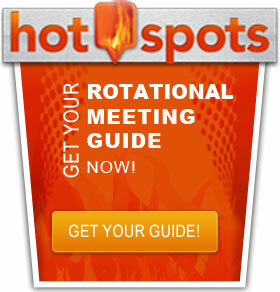 National Agents Alliance Hotspots is designed to connect leaders, builders, and recruits together at meetings across the United States. The purpose of the hotspots meetings are to communicate the opportunity of NAA, which is to have fun, make money, and make a difference. Along with these opportunity meetings are training sessions that include product training from NAA's insurance carriers and sales training from our top producers. Hotspots meetings are held each week in major cities such as Dallas, Atlanta, San Diego, Charlotte, Cleveland, and many more. With so many of NAA's top managers and leaders across the country, you are guaranteed the ultimate training and experience when you attend a Hotspots meeting. We do offer National Agents Alliance's All Access pass and all you have to do is invite people to come to a meeting, and let the experts take their breathe away with exciting and energetic presentation of the NAA's opportunity. With minimal cost to attend, Hotspots offers the recruiter peace of mind when sending a new agent to a meeting and it allows the new agent to get the best leadership and support. Since National Agents Alliance is a systematic company, the meetings will all have the same clear message: If you're looking for an opportunity to have fun, make money, and make a difference you are in the right place. Visit us at naahotspots.com and join us on Facebook to find out more. Check out our archive of videos about NAA Hotspots here! National Agents Alliance Support is a site designed solely for the purpose of answering your questions. Think of it as a giant FAQ section for NAA. It features a search bar that you can enter a phrase or keyword for a subject you are looking for. There are several general topic sections for new agents just getting started like "Brand New to NAA?" and "Moving Up the Ranks". You can post comments or additional information on the topics you find here. If you don't see what you are looking for you can post your own question and a member of the NAA Support team will get back with you. There are department specific sections for Leads, Online contracting, NAAtv, and Billing. As well as a wealth of other topics related to all things related to NAA. 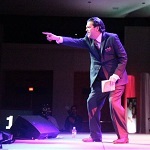 NAASupport.com is a site devoted to helping you learn about National Agents Alliance and answering your questions. The National Agents Alliance store is your agent resource to the tools needed for a thriving business. The NAA store offers several training CD's, DVD's, and books to help you generate sales, build a team, and keep your mindset on the right track. Award winning authors and speakers reside in the NAA store, including keynote speakers from past National Agents Alliance events such as Chris Gardner, Lou Holtz, and John Maxwell. Top Leaders among the company are leading the way in the training CD's and DVD's to give you the keys to success for your business. And don't forget, while you are out running appointments, it's always important to look your best! The NAA store also carries high quality polo's and dress shirts for men and women. No matter what your business needs are, you can find them at the NAA store. Shopping is easy! Type in the search box if you are looking for something particular and after you purchase your items, be sure to rate them online so the National Agents Alliance staff can ensure that the best products are available to you. To start shopping, go to www.shopatnaa.com.